Is becoming a nurse a good career choice for a man? The demand for nursing is increasing, so your question is a timely one, as more men are entering the field. In fact, there has never been a better time to get into nursing with extremely low unemployment levels and a burgeoning healthcare industry. Working as a registered nurse is a very rewarding career path, so read on to find out why. Over the years, nursing has been traditionally a woman’s vocation. Women have dominated the field with up to 90% of nursing positions held by women. Three decades ago, just 3% of registered nurses were men, however, that figure has increased to around 12% today. This is still a very low proportion in an industry that has seen massive growth in recent years. Over the same period, male-dominated industries such as manufacturing have hemorrhaged jobs. Over 5 million positions have been lost from a sector that has traditionally been 70% male. In contrast, education and healthcare, traditionally female-dominated sectors with 75% women workers, have seen an additional 9 million jobs added to the books in the past two decades. Steven Z. Zeldes at Avacare says a shortage of nurses has created an upshift in recruitment drives and training. Schools with nursing programs are actively seeking higher male enrollment. A larger number of nursing scholarships are available now than ever before. 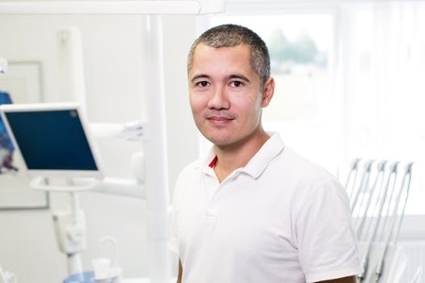 The American Assembly for Men in Nursing is encouraging more men to join the profession. Men have avoided the field for decades due to the ever-present stigma and social perception that nursing was a woman’s job. You will notice that male nurses typically do not wear white uniforms. Work clothing for both male and female nursing staff has changed slowly over time. White is seen as intimidating and not practical to wear in a messy medical environment. Slowly things are moving in the right direction, partly due to the initiatives mentioned above encouraging men to make a career in the healthcare industry. The news is even better from a pay perspective, since men are more likely to secure higher-paying medical positions. One of the highest paid professional medical occupations is nurse anesthetists, according to the Bureau of Labor Statistics. Over 40% of registered nurse anesthetists are men, netting a salary of over double what other nursing positions make. Expanding industries are also more likely to experience wage growth and higher promotion opportunities. According to predictions, all professions will have an average projected growth rate of around 7% between 2014 and 2024. Registered nurses and licensed practical and vocational nurses, however, can expect a 16% growth rate in their field for the same period. Healthcare jobs are increasing with an overall expected growth rate of 19%. Some positions such as home health aides can look forward to a 38% growth over the coming decade. Once you are in the healthcare industry, there is plenty of opportunity to change fields and specialties. With a more open-minded generation, old stigmas are fading fast. In any case, being the minority in your field can actually work to your advantage on many levels. Healthcare is the cornerstone of the socialist state. It is the crown jewel of the welfare state - Monica Crowley.